I am very pleased to welcome seasoned administrators into new roles, both interim and temporary. Ms. Cathy Hartman, formerly Associate Dean of the UNT Libraries, will serve as Interim Dean of the UNT Libraries beginning July 5. Dr. Linda Holloway, Chair of the Department of Rehabilitation and Health Services, will serve as Interim Dean of the College of Health and Public Service beginning Sept. 1. Ms. Hartman and Dr. Holloway will serve in interim capacities until new deans are appointed. Today, as our spring semester comes to a close, I would like to take a moment to reflect on this academic year and to thank each of you for all of your support. This time of year is always my favorite. While many of us have an achy hand from grading or are rushing to squeeze in a last-minute meeting with a student, it also is a time of celebration. I am delighted to watch our graduates taking pictures in front of the Hurley building and other iconic places across campus. As the midterm of the semester approaches, I want to reiterate President Smatresk’s message that student success is our top priority here at the University of North Texas. Students bring us their dreams and our role is to give students the tools and resources they need to succeed at UNT and beyond. Each of you plays a critical role in helping our students succeed. 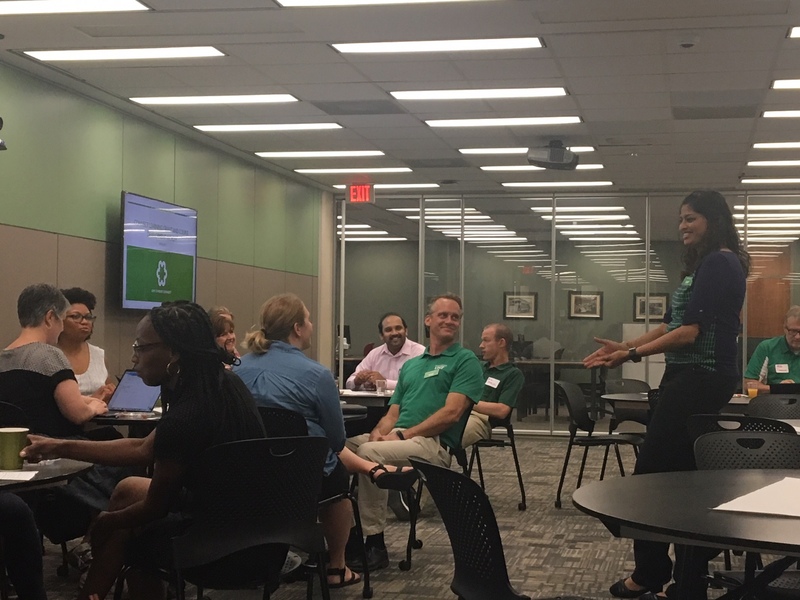 The end of spring 2018 marked the end of the first full year of implementation for Career Connect, the SACSCOC Quality Enhancement Plan for the University of North Texas’s for the 2016-2026 school years. Based on the experiential learning framework of John Dewey (1916), Kolb (1984) and Kuh (2010), Connect works collaboratively with UNT faculty, staff, and other partners to enhance, assess, and showcase UNT students' marketable skills by engaging them in high-impact practices, experiential learning, reflection, and ePortfolio activities in and outside of the classroom. Read more about Highlights from Career Connect's First Year of Implementation!